Yes, it's that time again, where I attempt to encapsulate in single letters the unique and nuanced growth and progress of each child, across multiple measures and along a timeline of nine weeks: report card time. but let's face it--kids aren't numbers, and they aren't letters either. I might feel different if there were still a place for comments in the online gradebook, even though it would be more work, but no--we have abdicated professional responsibility for showing our knowing of students with words in favor of a lighter paperworkload. There is no place on the grid for words; only numbers and letters. And truth be told, every kid is all of the above all at the same time. 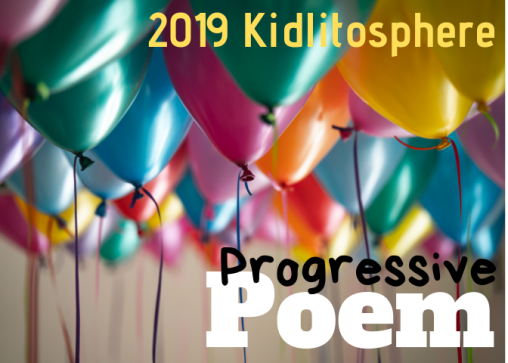 The round-up on this first Friday of National Poetry Month is with Karen at her blog with the shockingly clever title. You can also visit Jama's round-up of April NPM blog projects here. Enjoy all of the above! Indeed they are 'all of the above'. I didn't know that some were still giving letter grades to younger elementary. I had to do that in my first teaching so long ago. How hard it is to give that letter to a six year old! I smiled at your 'self' letter notes & applaud you for those for parents and students. Cheers for getting it all done. I share your frustration with trying to put kids into little boxes. You've nailed a major reason for teacher and parent frustration with report cards: "to encapsulate in single letters the unique and nuanced growth and progress of each child..." and "no place . . . for words"
I think your poem perfectly portrays the frustration you and so many other teachers are feeling right now, Heidi. Oh, I feel your frustration. You captured the feeling perfectly! I love this. All the words, the bravery in putting it in words in such a powerful way in your poem. Your students and their families are lucky. No one is happy with our current report card. It does make you wonder why we have to be constrained by inadequate formats. Love the way you capture this frustration so succinctly! Heidi, online fraudulence is a powerful poem of frustration with the system. Kids are more than numbers-Yes! I would say report card time is one frustrating experience for those who believe in all of the above. Thank you for sharing your justifiable frustration both in your poem and in your remarks. I share your feelings, not just for younger students, but for all of them. It's such a challenge isn't it. I've always been a fan of the comment section. It has always seemed, for me, the best place to really talk about a child's learning. Well, in a report card sense. I'm happiest when kids are talking about their own learning. Amen. And can we add to the list of WRONGs -- giving 8-year-olds a test that will or won't pass them to the next grade while at the same time feigning deep concern for the same 8-year-olds' social/emotional states? Standards-based grading at my daughter's school has surely brought more than its share of headaches to all involved. This week we visited New College of Florida which is a VERY small honors college (only 800 students). One of its unique characteristics is that they have done away with letter grades altogether— instead they offer narrative evaluations. It didn't take much more than that to have me fall in love with the place! I like the idea of all-of-the-above for grading! Whoa! I'm stunned that you don't have a comment area on your report cards. I didn't even know that was a "thing." I spend hours and hours crafting comments and firmly believe that the narrative is the most important part of the report card. I can't imagine how hard it must be to choose a number/letter without an accompanying explanation. Writing report cards/Grading is no fun anyway, but this? Ugh. Yuck. Sorry!